All the wireless routers capabilities differ in size, and nature between each model. The only thing that will make you decide on choosing a wireless router is to know firstly know the router connection speed and the distance it can covers to get send and receive signal. When your wireless connection distance is very long, it means that the wireless router will have to carry data connection over a very long place and therefore facing a lot of obstacles that can prevent it from easy connection to the internet such as a tall tree or building, a big wall fences around your home. All wireless routers can be classified as a one whole family of wireless standards which has developed from earlier forms by evolution of technology, despite the fact that all the wireless devices stick to a standard known as 802.11.and the main purpose of this fixed standard of device is to ensure that every wireless products from different producers will functions properly together. Every day, as wireless technology advances, the amount of characters to be transfer per second over any wireless network connection increases. These characters are characteristically described as megabits (note that 8 megabits is equals 1 megabyte), the rate of data transfer over the wireless or nay other means of connection is therefore being measured in megabits per second (Mbps). There have been a lot changes in the wireless standards since the inception of wireless technology, and they are the four primary wireless networking standards which have been introduced to the market till date which are 802.11a, 802.11b, 802.11g, and 802.11n, each based on a little various set of attributes. Below is the general wireless networking standards speed and amount of their data transmissions speed to the highest value of their capacity. It is the ancient wireless devices that use a standard known as 802.11b (or can be called Wireless b), it can transmit data at the maximum rate of 11mbps. The amounts of users that use this wireless standard are extremely low. Most of the modern devices use the standards called 802.11g, this standard has turned the wireless b routers to become an obsolete type of wireless connection router, and also, it is still the most established standard that is been used till dates. The maximum data rates of Wireless g standard is 54mbps, it is even faster than wireless b products. The hottest and greatest wireless standard is the 802.11n protocol that has maximum data rates of 248mbps unlike wireless b and wireless g that has 11mbps and 54mbps respectively. Wireless n devices should be capable of transferring larger media files such as music and video at a speed that’s acceptable to consumers. 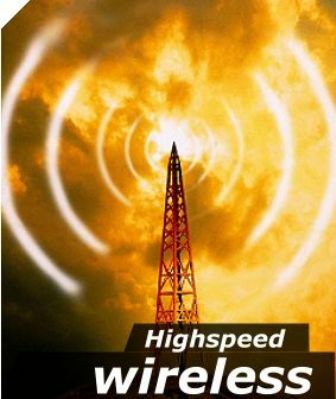 Wireless n devices have longer varieties than all the other types that have been in existence before it was made, wireless n is best used in a large places like big buildings, shops, mall, and hotels and it also supports heavy usage, and multiple computers to connect to the network which makes it highly preferable than wireless b or n standards. Guest post by Techwriter on behalf of Broadband Expert the site to find high speed internet service providers by zip code and cable internet deals.